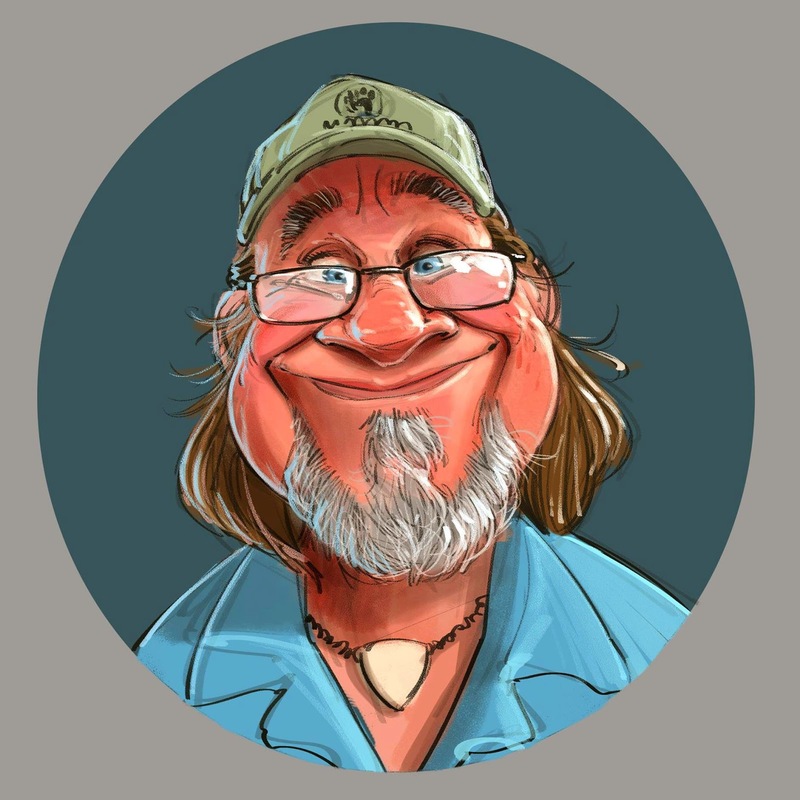 Aaron Blaise is an animator, producer and director best known for his work on films such as Beauty and the Beast, Aladdin, The Lion King and director of Brother Bear. Here we talk about animating the final appearances of Roger Rabbit, the challenges of animating the character Pocahontas, and why Mulan is his favorite Disney film he worked on. Jason Anders: Let's start with your time spent as an assistant animator on the Amblin short, Roller Coaster Rabbit; what can you tell me about the making of that short? Aaron Blaise: One thing to remember is that I was a pretty lowly rank and file guy during the time Roller Coaster Rabbit was done, so I don’t have a wealth of knowledge about such things as the dispute over which film it was meant to be released with. I can tell you how I ended up on that film, though. Backing up a bit... I was an illustration major at the Ringling School of Art and Design in Sarasota, Florida. I had, and still have, a passion for drawing and painting. My goal was to some day be a staff illustrator for National Geographic Magazine. I’ve always loved painting animals and nature. Well, I soon found out that National Geographic freelanced most of their jobs, and I had to figure out a new goal. I didn’t want to freelance, so I looked at who was coming to the school to recruit in the coming weeks. It was Hallmark and Disney. Well, Disney was first so I put together a portfolio geared toward what they wanted to see and was lucky enough to get accepted into a six-week internship in Burbank, California. 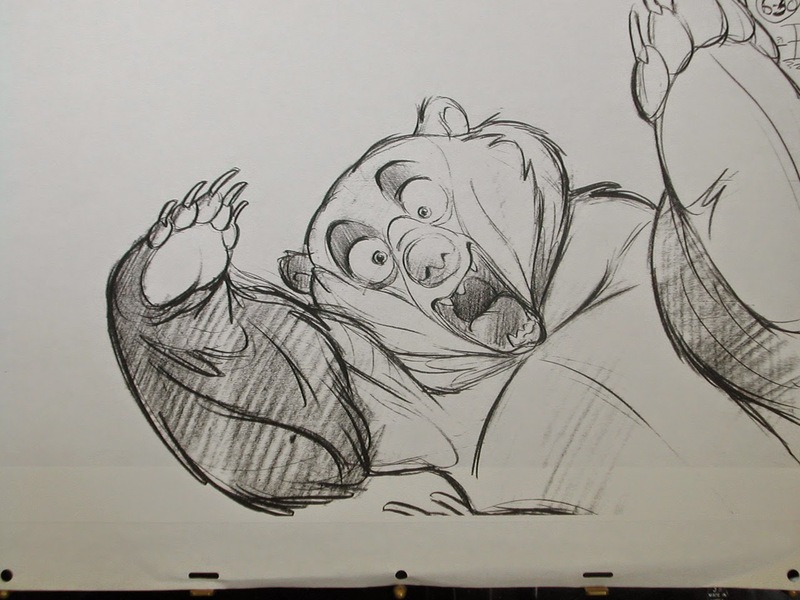 I was lucky enough to be assigned to Glen Keane as my mentor. 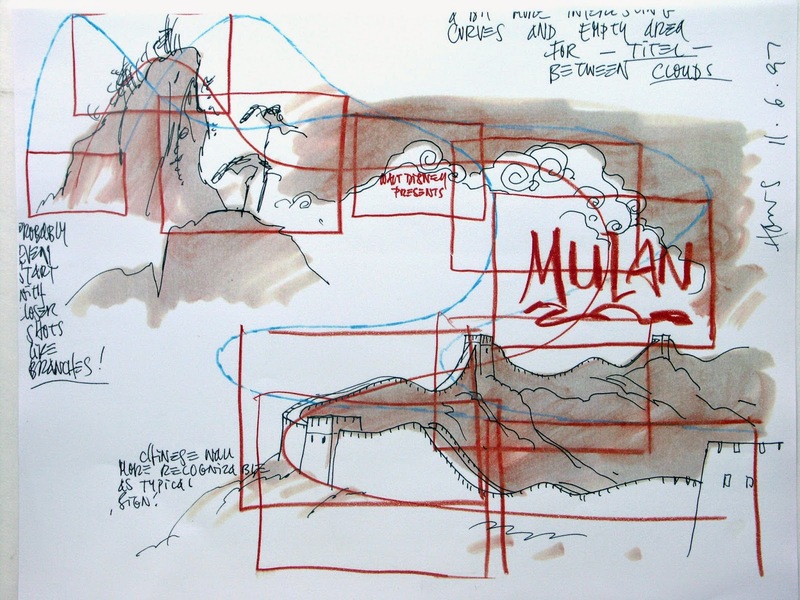 He taught me the basics of animation and after six weeks I was hired for the new studio in Orlando, Florida. It opened in April of ‘89. Our first film was Roller Coaster Rabbit. 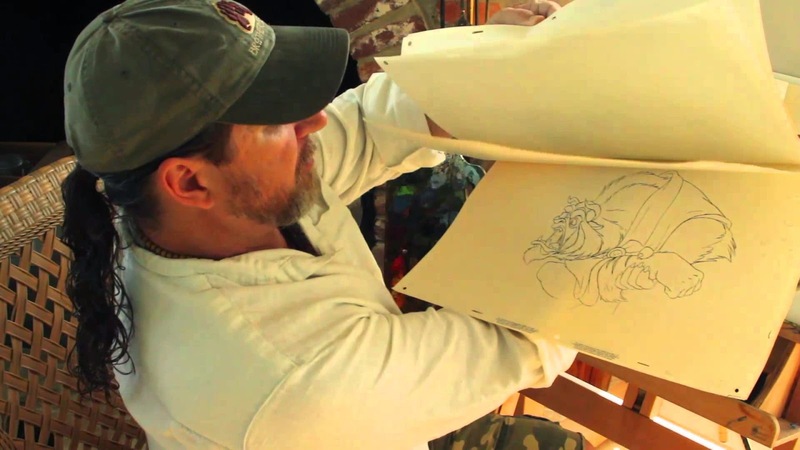 JA: After working as an assistant animator on The Rescuers Down Under you animated The Beast for the Academy Award-winning Beauty and the Beast; what was that experience like for you? AB: Working on Beauty and the Beast was one of the greatest experiences I’ve had in my twenty-year career. First off, it was the first time that Glen and I had teamed up since my internship a few years earlier. Glen has a wonderful way of elevating anyone that works with him. I had never taken anything on at this caliber, but Glen had a faith in me that inspired me to want to elevate my game. Glen gave me the sequence where Belle is trying to bandage Beast’s arm in front of the fireplace. It was a meaty sequence and I spent weeks planning it out and doing little pose ideas we call thumbnails. It took me weeks more to animate it, but in the end Glen and I were very happy. It remains one of my favorite sections of any film I’ve worked on. JA: What was unique about your experience working on 1992's Aladdin? AB: Aladdin was another milestone for me in that it was the first time I was given my own character, Rajah, to design and animate. I love drawing animals and I also love animating them. Four-legged locomotion is fun to do. During the design process I did hundreds of tiger designs, trying to achieve the fluid Hershfield look that the film’s art direction was trying to achieve. I was struggling until one day I saw the hood ornament on a Jaguar car. The little sculpture had a lot of the qualities I was trying to achieve in my designs. I drew a lot of inspiration from that little piece of metal on the hood of a car! My designs were soon approved! Jasmine was supervised by Mark Henn. He and I were both based in Florida, and had a great working relationship. When I finished my Rajah footage for the film, I switched over to the Jasmine unit and helped Mark out. 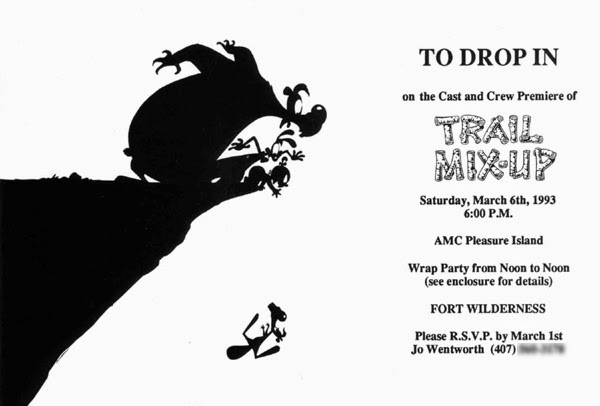 JA: What was it like to work on the final theatrical short to-date to feature Roger Rabbit with 1993's Trail Mix-Up? AB: Working on Trail Mix-Up was a lot of fun for two reasons; First, I was a much better animator at that point than I was on Roller Coaster Rabbit, and second, doing really broad animation is a lot of fun after a few years of feature work where you really need to hold back and focus on subtleties. I animated about the first minute or two of the short. 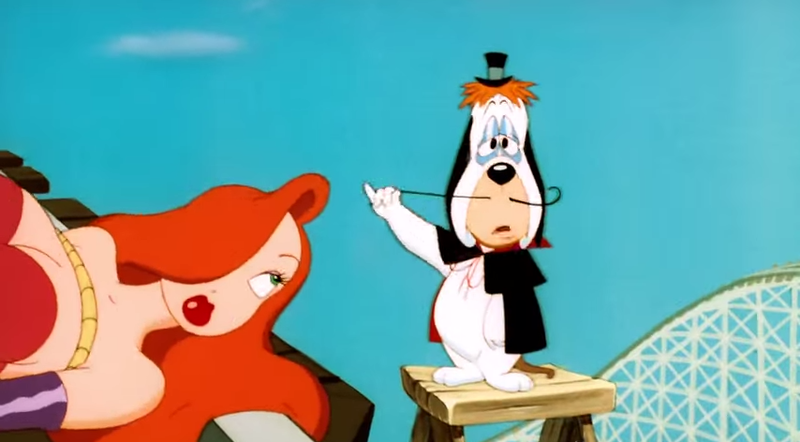 One of my favorite scenes was the one where Roger is caught up in the rope hanging upside down. He is twirling around in a big circle while spinning. All the while it is slowly coming to rest. While this is happening, Roger is having to act. It was all very complicated to figure out, a lot of left and right brain stuff going on in trying to nail it all down. 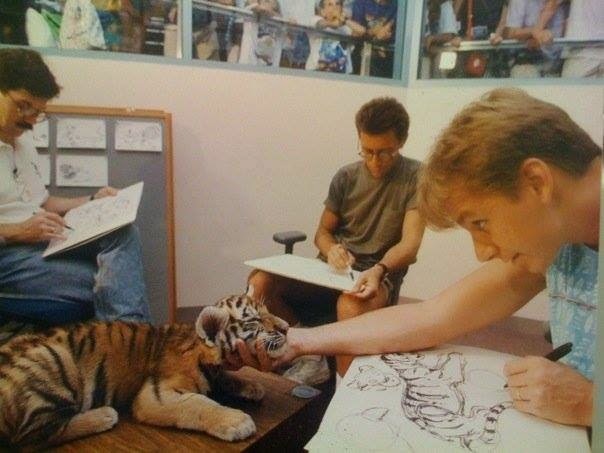 JA: Did you take any trips to Africa for your next feature as supervising animator for the character of Young Nala on The Lion King in 1994? AB: I didn’t take any of the Africa trips for that film. We did all of our locomotion studies at the studio. Young and adult lions were brought in for us to sketch. It was lots of fun and proved to be a huge asset to both the design and animation processes. The biggest challenge for me on that film was just getting the locomotion right. Four-legged walks, trots, and runs can be tricky, especially in the transition from one to another. Getting something to look natural while still getting the acting across can be difficult. 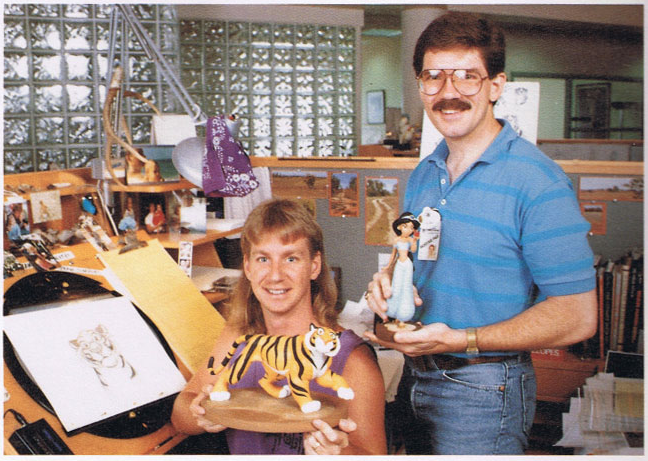 JA: What was your biggest challenge in animating the title character for 1995's Pocahontas? AB: For me the biggest challenge in Pocahontas was the extreme subtlety that the directors required in the animation. A lot of live action was shot as reference for that film, and we were directed to really stick with what was shot. I felt very creatively confined at times. I was teamed with Glen Kean again and he really taught me to look for the creativity in the subtleties. I could still be creative, it just required me holding back. It was a huge leap from the Roger Rabbit cartoons. AB: Mulan held a lot of pride for us at the Florida Studio. It provided for us the opportunity to escape our “second unit” status, and prove to the rest of the company (and the world, for that matter) that we were a talented studio worthy of our own feature. We worked extremely hard on that film. We all wanted to do something great! In the end, I think that Mulan provided not only a great story but is one of the most stylistically beautiful films this company has ever done. It was also a spring-board for many. Byron Howard and I worked together on that film and we both went on to direct. It was a great confidence-building experience. 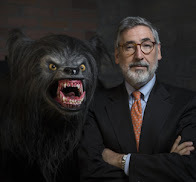 JA: After directing the Mickey Mouse short, How to Haunt a House, you directed your first feature, Brother Bear, alongside Robert Walker in 2003; how was it stepping into the director's chair for the first time? AB: When I look back on my experience as a director on Brother Bear, I almost shudder because I know now how much I didn’t know then. I knew nothing of what I was getting into. Bob, Chuck, and I often refer to it as our six-year filmmaking class. I really owe a lot to Tom Schumacher and Pam Coats for giving me the opportunity. When I look back, knowing now what I didn’t know then, I don’t know that I would have given me the chance. The visual side of things, animation, art direction, and layout... those were easy. Story was the bane of our existence. It was during those six years that I learned how to structure a story and tell it with emotion, fun, and clarity. It was just extremely difficult to learn this while directing a crew! JA: How would you sum up your career so far in just one word? AB: If I had to sum up my career here at Disney in one word it would be, just simply, lucky. I am so lucky to do what I do for a living. To do something you love as much as I love this makes me a very lucky man!